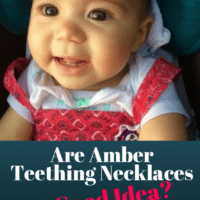 Are Amber Teething Necklaces A Good Idea? 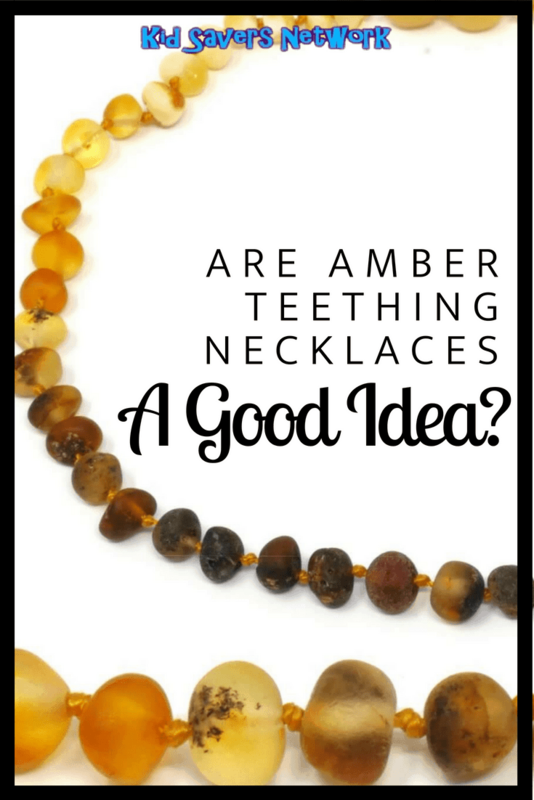 Amber teething necklaces are an old, historical remedy for teething babies. Currently, they are in vogue and and a best-selling teething product. But do they live up to the hype or are they just more hippy mumbo-jumbo? 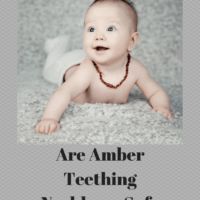 Do Amber Teething Necklaces Actually Work? Why Do Parents Buy Amber Necklaces? 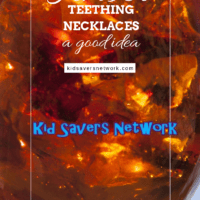 Amber teething necklaces are claimed to release succinic acid into a babies skin. The baby lies against the necklace and the amber gets warmed by their body heat. As the marketing goes, it’s a “Baltic Amber Natural immune system boost”. The concentration of succinic acid is genuine amber beads is about 8%. Proponents believe teething pain is relieved once the succinic acid passes through the babies skin. The more implausible claims include having sedative effects and activating “Chakras” (mystical energy points). Some also believe they are also able to relieve depression. Firstly, it’s not recommended to put a necklace of any kind around an infant’s neck. Let alone one with small objects attached. As you would expect, there is a significant choking and strangulation risk. The danger also exists of a bead coming off and a baby swallowing it. Strangulation is a well known cause of accidental injury or even death in infants. There have been reports of young children almost choking to death. Ashleigh Ferguson found her 15-month old toddler laying on her stomach and silent. Rushing to turn her over, she saw that the necklace hadwrapped around her toddler’s neck, leaving deep prints. Clearly, this situation could have definitely been more tragic. Dr. Brent Bauer, who is the director of the Mayo Clinic Complimentary and Integrative Medicine Program, says “There is no plausible mechanism of action” for amber teething necklaces. Simply put, there is no evidence that the succinic acid found in genuine amber beads can pass through a babies skin to have any sort of analgesic effect. 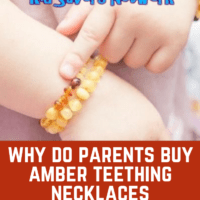 Tieraona Low Dog M.D, an internationally recognized expert in integrative medicine and authority on botanical medicine, says that there is no evidence from modern science that these amber teething necklaces are effective. 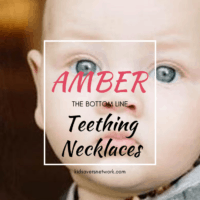 Amber teething necklaces are currently among the best-selling teething products. They clearly state not to leave an infant unattended whilst wearing one. is too short for babies to chew on the stones. They also provide a certificate to prove the amber is genuine. Parent’s have reported their their baby drools significantly less after wearing the necklace. They also say that their baby is not as fussy and irritable like before. Many of them say their babies looking “cute” in them. 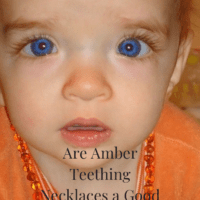 You can read many amber teething necklace reviews here. All parents hate seeing their babies suffering teething pain. Unfortunately, there is no scientific evidence that amber beads have any effect on teething, or on babies in general. With the associated risk of choking and strangulation, it would be best to avoid them.